Renault has launched a new twin turbo 160PS/380Nm torque version of its state of the art 1.6 dCi diesel engine at the Geneva Motor Show. It means that there is the very real possibility of diesel powered Renaultsport models in the coming months. The existing 1.6 dCi 130 already incorporates efficient heat conservation and usage and the incorporation of its exhaust manifolds into the cylinder head, allowing a closer-coupled, more efficient Diesel Particulate Filter. The 1598cc chain cam engine has comparable outputs to 2.0-litre engines in terms of performance. This important breakthrough combines with fuel consumption and CO2 emissions savings of 25%. 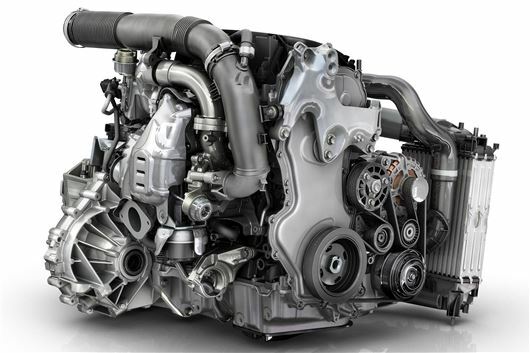 The use of ‘Twin Turbo’ technology for this diesel engine ensures a blend of low-end torque and high power at higher revs, the obvious benefit of which being enhanced driving enjoyment. The system comprises two sequential turbo-compressors. The first is a very low inertia turbo which provides high low-end torque for crisp pull-away and mid-range acceleration. The transverse water flow system permits faster and more efficient cooling of the combustion chamber. The fuel injection system of the Energy dCi 160 Twin Turbo operates at a pressure of 1,800 bar to function with the twin turbocharger. It complies with Euro 6b emissions legislation and incorporates a NOx Trap and particulate filter regeneration system. By dint of its efficiency, this engine is comfortably capable of powering larger vehicles, and will notably be available for Renault’s forthcoming D- and E-segment models. Of course, as Renault doesn't sell models in those sectors in the UK, we'll be looking for some super-quick versions of the Megane and Clio to make up for the fact.